As any experienced marketing expert will tell you, your brand can define your business’ presence in the industry. 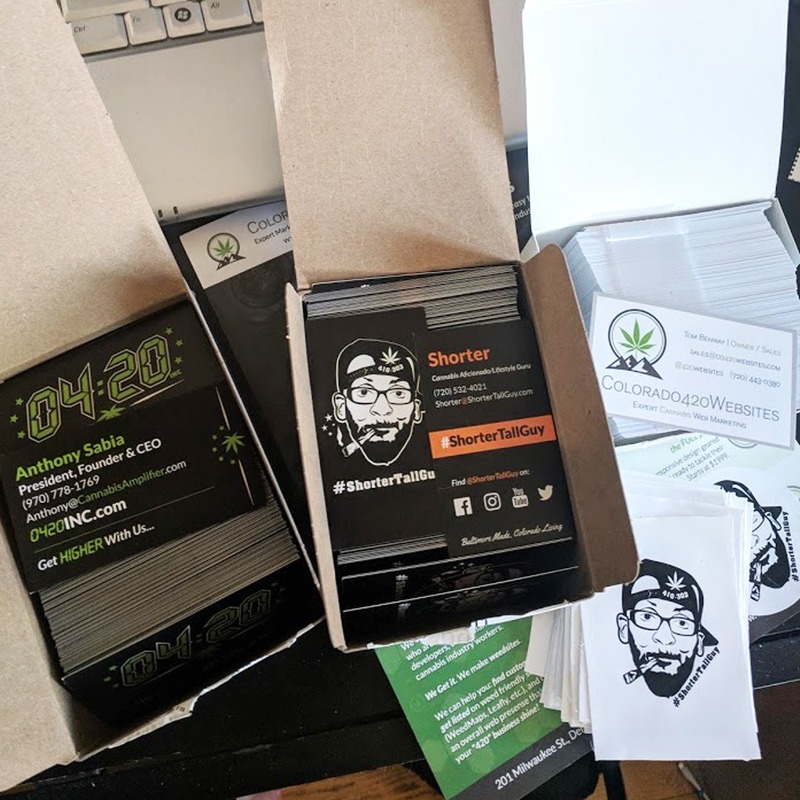 With our nearly 20 years of experience as illustrators and graphic designers, our Colorado 420 Websites & Design team can guide you in the process of establishing a marketing presence that truly expresses your cannabis and/or hemp company’s essential vibe. Our experts have created hand-crafted logos, print & apparel, and website designs for literally hundreds of companies from start-ups to industry giants. We work with you to understand your core values and products and collaborate to convert your cannabis or hemp business concepts or products into a deliverable, visual set of marketing assets aimed at making your 420 brand recognizable and memorable. We also work with existing branding and designs to take your print advertising, apparel and/or online marketing to the next level. We design logos in a scalable format that fits seamlessly into any variety of print and web mediums; one design made to be placed anywhere. How do you want to present your business’ core values visually? Our experienced team will hand-craft a website catered to match your business or work with your existing branding to make your template totally unique. T-shirts, hats, hoodies, polos and more; making sure your team looks good on the street or in your store can be invaluable marketing. Our design team works with local apparel shops to create clothing that fits and feels great and makes your brand shine. Essential to any hemp or cannabis product, our cannabis-ready team works with you and your brand to make your style stand out on the shelf while meeting state compliance guidelines unique to the industry. Partner with our cannabis and hemp graphic design experts to visualize your message and enable your unique 420 business to captivate your audience!